An unusual egg-shaped booth in Tallinn’s Seaplane Harbour is where a small team of Estonian engineers is testing its new invention. It’s a 3D scanner booth that allows visitors to capture a highly detailed three-dimensional scan of their face. They can then order either a digital or a 3D-printed figurine of themselves. The idea, ultimately, is for visitors in cities around the world to be able to take home customised effigies based on characters linked to the place they are visiting. “Our scanners let visitors scan their face and order a character which is customized with their own face. And the characters, the selection of characters, depends on the scanners’ location. So in London they will be beefeaters, in Rome they can be gladiators, if it’s a sports stadium they can be a player of the Yankees, for example,” says Timmu Toke, CEO of the company behind the figures, Wolfprint 3D. He says the figurines will be delivered to the customer between three and five days later and there are already plans to install several of them in Hollywood studios in May. The goal is to eventually branch out into augmented and virtual reality. “We plan to build a network with hundreds, potentially thousands of scanners that produce 3D models for us everyday, and then we plan to build different applications in AR, (augmented reality), and in VR, (virtual reality), for those models, basically. So the long term vision is actually working with digital data rather than printing figurines,” says Toke. 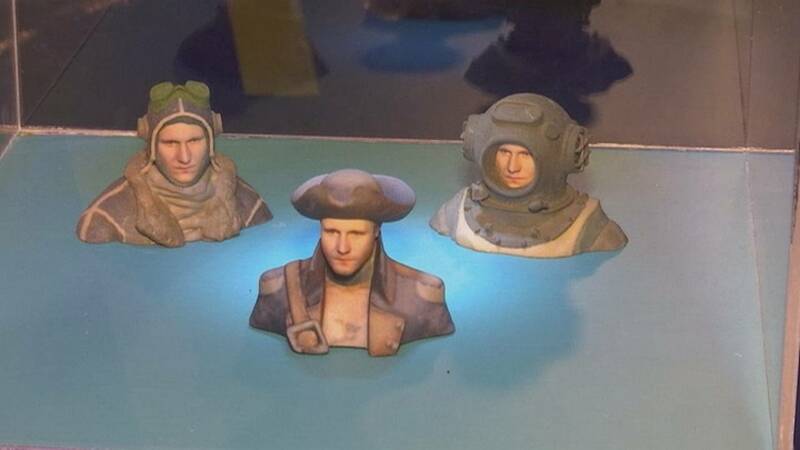 Other companies around the world already offer similar figurines: one Japanese firm proposes 3D printed effigies of deceased people made from photographs, and one British artist uses 3D printers to create modern interpretations of classic paintings and photographs. Prices for the Estonian versions start at forty euros for the figurines and five euros for the digital models.